The traditional Dresden plate pattern seemed a perfect fit to design a quilt around the word Charka which means wheel or disk. The brilliant colors from Northcott’s Artisan Spirit Shimmer collection make the design pop. The blocks were appliqued by machine to speed up the sewing process. This is absolutely gorgeous! 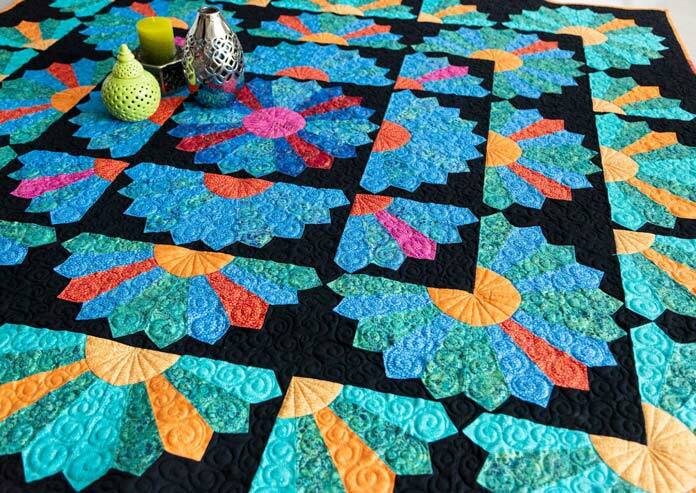 Making a Dresden Plate quilt is on my bucket list, and this one on a black background is so striking! Love love love it!